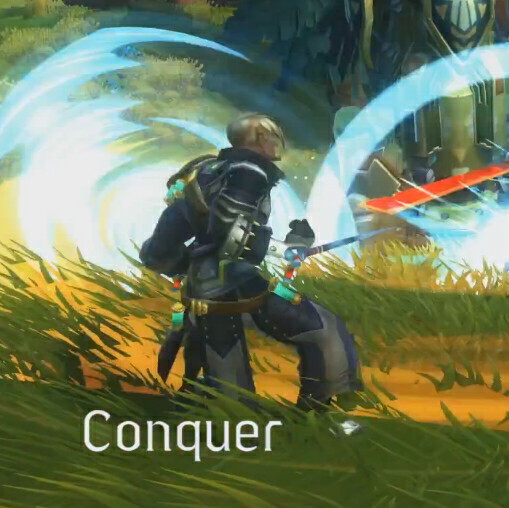 Discussion in 'WildStar Races' started by Guide, Feb 6, 2013. It sustains itself in a gaseous pod, as well as a syringe? Sounds gross, but I don't have to deal with them as roommates being Dominion. On the far left. A freaking zombie hand! You see the bone and stitches. 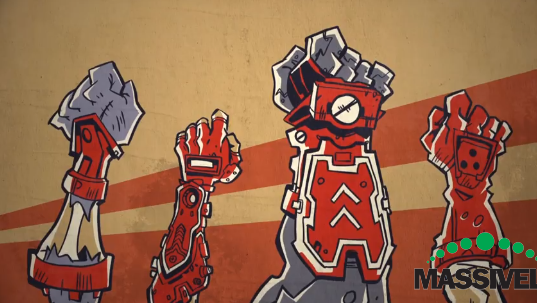 All four of these hands most likely represent the four races that form the Exiles! So if you put the pieces together, the fourth race might be a mutant zombie that sustains its longevity with pods and chemicals! Haburik, Dtrain, CirahRavenheart and 2 others like this. A dominion experiment gone wrong. I'm saying a clone race, with decomposition issues. Since we know Phineas is a template for a clone race, already. Tribe, bitbandit and JarNod like this. Hey! Don't put it on us! They're YOURS! Tribe, Dtrain, Zerdav and 1 other person like this. Imagine if their planets atmosphere sustained their bodies freshness, but outside of it they start to decompose and need chemicals to help them keep together. Vargas, Tribe, Dragon[SVG] and 3 others like this. Now I want that reptile race! hey what went wrong with my picture I posted? Mudfin and Aheadache like this. Definitely an undead race. 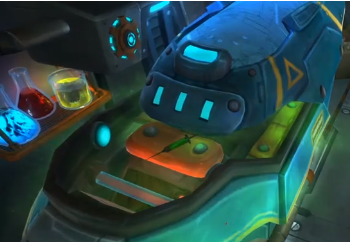 The gaseous pod and syringe look like tools to keep this unknown race patched together. 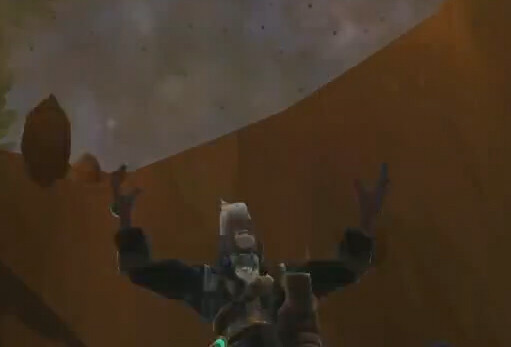 Personally, this reminds me -a lot- of the undead race from Allods online (which I absolutely adored). I'm extremely happy to see an undeadish race in the game! Or at the very least alchemical! I'm gonna say...Dominion being bad and trying to wipe off another race with a new super weapon, weapon fails but causes a harsh side effect in the form of rot that the race must sustain to keep themselves alive. Has to be Dominion related. ruff_ethereal, bitbandit and Darkspur like this. I'm hoping it's not just a "zombie" race... Zombies have been so over-done in mainstream media these days. Plus having another human-based race would seem rather disappointing to me. I'm hoping that it's something with a twist to it, like the other races we've been introduced to so far. Maybe an alien race that holds themselves together with technology, or seeks to achieve immortality via some method, or the failed clones like Zap suggested. I trust Carbine's design team to come up with something creative, and not "More-Undead-Humans." ruff_ethereal, JarNod and starspun like this. Perhaps it could be a race with Leprosy. The left person isn´t a human and he/she carries herself with reagents. A lot of the various character art designs seem to have reagents/extra storage bits on them, so that's not as unusual. I'm really curious why the top of their head is all pointy. A hairstyle or something else...? I grabbed a screen of the closest view we get of him, which is sadly still really blurry! 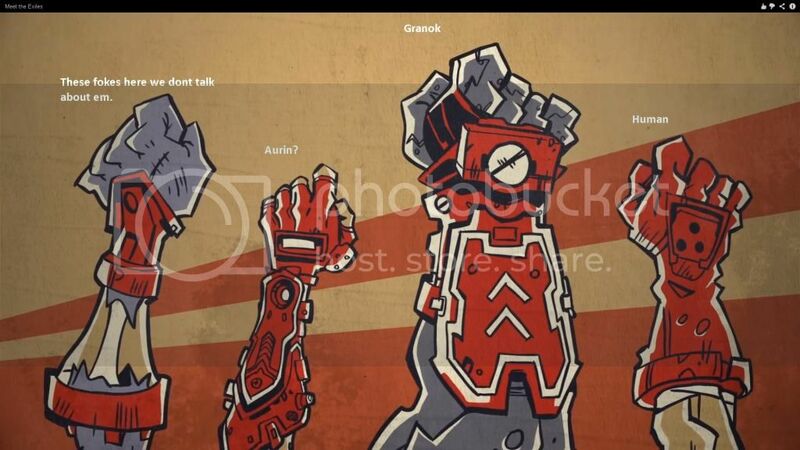 I'm sure Carbine is sneaking these guys into the videos on purpose to get us all riled up like this on purpose. cali, JarNod and Wreck like this. I think that's the fourth Dominion race, not exile as it plays with the 'cyborg' race, which is Dominion. it's too hard to tell if that's a skeletal face. To me, it almost looks hooded/visored. Covering up a fearful sight out of consideration for their allies? Or maybe they are just waiting for a good time to say "Luke, I am you father..." and need a visor to provide air/toxic gas to live on.